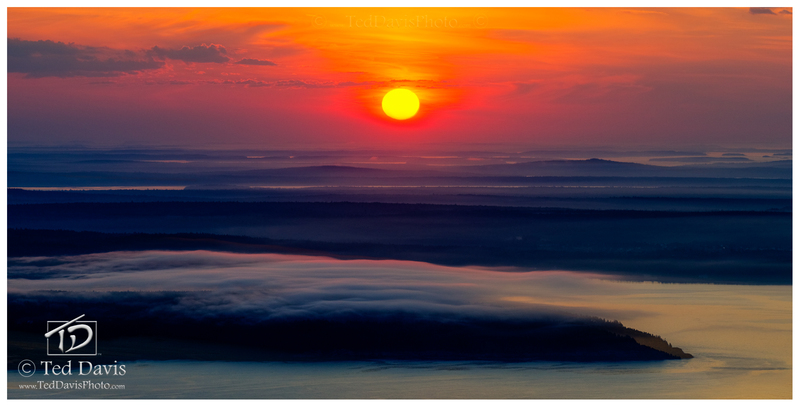 A long shot of a rising sun over mist shrouded islands off the northern coast of Maine. Fantasy. Photo © copyright by Ted Davis.